Most of us realize how important a healthy diet is to our overall health. Most of us, however, are not in very good physical shape and have a less than perfect diet. We tend to eat too many empty calories. We eat too many pre-prepared foods, refined sugars and carbohydrates, and fast food. We tend not to eat enough fruits and vegetables. A fun way to get more fruits and veggies in your diet is to use your blender. You can get a great variety of blenders and food processors these days, at stores like Kohl’s or Walmart. The NutriNinja or MagicBullet are nice because of their compact size, good power and convenient blend-n-go containers. They are perfect for making smoothies. Here are a couple great recipes to stir your imagination. Blend the milk and sweetener together, for approximately one minute, to make whipped cream and set to the side. Then blend the coffee, butter, coconut oil and vanilla together for 1 minute. Serve with whipped cream. 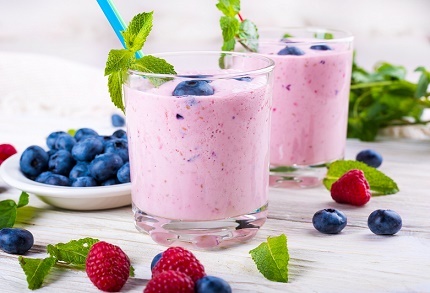 If you are looking for more healthy ideas for ways to incorporate fruits and veggies into your diet with a blender, check the websites of the blender makers. You will find hundreds of healthy and delicious recipes that are sure to have you blending your way to health. Justin is a serial entrepreneur and blogger. He focuses on making money and saving money. Remember, always spend less than earn and you will never go broke.